Find Local Therapists/ Call a Local Healer! Find the massage you are looking for. We have listed many of the area's massage and bodywork practitioners, therapists and SBBTI graduates who are offering healing work in and around the Santa Barbara area. Therapists are listed by their main specialty but many are skilled in several styles of massage. Scroll down, or select a modality on the left and find a local healer that suits your needs. Healers listed are practicing independently from SBBTI and have their own private businesses. Healers listed understand that they are responsible for their own insurance. The Santa Barbara Body Therapy Institute holds no legal responsibility for the work of the therapists advertised on this page. About: Cindy graduated from Santa Barbara Body Therapy Institute's Massage Therapist program in 2014. She is trained in many different styles of massage, but found her true love in Thai Massage, performed on a special mat on the floor. She offers private sessions in a lovely, peaceful studio downtown, and will customize the session to each client's needs. The massage is fully clothed, and no oil is used, so no shower is required afterwards. Come experience a modern take on a very ancient holistic therapy! Something for Everyone: Offering a variety of healing modalities, Ally has Always possessed a natural ability to heal, and her intense training has given her the tools necessary to use this natural ability to produce both amazing body- and energy-work. She has been formally trained in Swedish massage, shiatsu, reflexology, deep tissue, trigger-point therapy, pregnancy (pre-natal) massage, and Access Energy. Her massage is extraordinarily relaxing and balancing, and her acute ability of observation only strengthens her training. Testimonial: "Sometimes people find they are at the end of their rope trying to heal themselves. All other attempts with MDs, PhDs, etc. don't resonate, and don't deliver results. Sometimes even our friends don't quite relate to what is going on even though their hearts intention is to help. I was that person seeking a solution to the "unlike me symptoms" my mind and body were undergoing. It was through a random encounter that I met Ally Gomez and instantly felt a connection, as if I met my long lost friend. She is one of the very few who I trust to take care of me when I sense I am on the verge of an energetic change, which I have come to realize indicates a major life event change or personal breakthrough. With her life partner Alan, together they create the I AM HEALING space and energy that is safe, impartial, and devoted to healing whatever comes to them. I highly recommend Ally, and I hope you have the opportunity to work with her too." 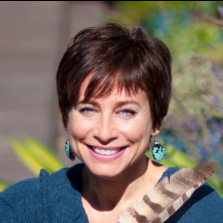 - Bianca C.
A native of Santa Barbara, Tova has worked in resort spas, day spas and in private practice locally and internationally since becoming a Licensed Massage Therapist in 1994. Having received a large part of her bodywork training at SBBTI, she specializes in customized massage therapy with a focus on releasing tension in muscles. Using techniques that include deep tissue, Swedish, trigger point, acupressure, sports, cranial-sacral and reflexology, sessions include essential oil aromatherapy and relaxing music. Additionally, she is trained in cupping (available upon request) and certified in Oncology Massage. 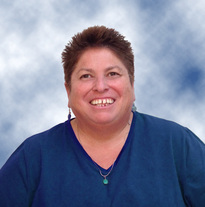 She is a California State Certified Massage Therapist, licensed in Santa Barbara County and fully insured. 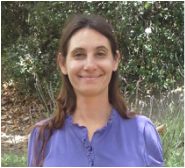 Integrative Bodyworker: Rebecca Clark is a graduate of the Santa Barbara Body Therapy Institute’s Holistic Healthcare Practitioner one thousand hour training program. She has trained extensively internationally in a variety of bodywork modalities. By integrating these modalities, Rebecca carefully crafts bodywork sessions to facilitate each individuals optimal healing. Rebecca believes that each individual has the ability to heal themselves, but often those pathways have been obstructed by daily stress, diet and lifestyle. Integrative bodywork is a powerful way to awaken an individuals inner healer, and facilitate that individuals journey to their personal optimal wellness. Everyday life and its worries can cloud over our true being. Family, friends and work make demands on our time and energy, leaving us drained and frustrated. World situations and personal circumstance create anxiety, worry, fear and sleeplessness. As all the stresses of daily life mount, we may even find ourselves despondent, with no energy or enthusiasm for life.Yet, the soul within us remains, calling us to shine our light. And the remedies of Dr Bach can help us. A natural system of stress management, the Bach Flower Remedies were discovered by a physician named Dr. Edward Bach, in the 1930's. Dr. Bach was a physician, surgeon, homeopath, bacteriologist and immunologist. In working with his patients, he found that their physical illnesses were exacerbated by their mental and emotional states and so set to discover a system of healing that would be safe and simple, with no side effects. He located 38 flowering plants and trees which balanced specific negative emotions and formulated them into dilute homeopathic mixtures. These liquids can be used in combination to address over 200 million states of mind. Best of all, they are safe, non-toxic and do not interact with any other form of treatment. The remedies are manufactured under strict guidelines for safety and purity (GMP) which are established by the World Health Organization and are available in 66 countries worldwide. Bach Flower Consultations are available via telephone and in person. Your Listing here/ Grads get Free Ads! Intuitive Touch & Nourishment Meets Pain Relief: Melissa offers fifteen years of experience and a wide range of massage services designed to provide deep relaxation, gentle loving touch, and pain relief. She has studied over 1,000 hours of massage courses, including Reflexology, Cranial Sacral Therapy, Access Energy, Lymphatic Drainage, and Deep Tissue, to name a few. Melissa delivers intuitive touch with each massage guaranteed to satisfy your needs. Eastern Healing Arts Specialist: Matthew is well educated and highly skilled in a variety of Eastern healing arts, Upledger Craniosacral Therapy, and TCM Herbology. With over 1,000 hours of Massage and Medical Qigong Training, he offers mastery in a variety of services that are designed to cleanse the body of toxins, revitalize the internal organs and work to reset the equilibrium of the body, mind and spirit. Sessions are customized to fit the needs of each individual client. Your Bodys' Best Friend: Kaleo has been a professional body worker for the past 13 years with a lifetime of experience in massage. His massage in an eclectic blend of styles customized to nourish and bring balance to your unique body. He is a dedicated facilitator of healing, and loves what he does, which translates through his touch and devotion to the art of massage. He learned the ancient wisdom and healing techniques of HUNA from his uncle, a Kahuna on Kauai. From his travels he has continued to learn new techniques that I have integrated and developed into a massage that is holistically healing to his clients and himself. Intuitive Soul Path Readings: Noell uses the ancient science of numerology combined with intuitive wisdom to assist you on your life journey. Gain insight into your purpose, special gifts, key lessons, strengths, challenges, propensities and path of greatest fulfillment. During your ninety minute reading, you receive not only inspiration and clarity on all aspects of your soul plan, but also an intimate reflection and felt experience of your soul essence...receiving your own love and light more fully. Sessions can be done over the phone or in person for Santa Barbara area residents. Massage from the Master: Katie is an expert in her field with over 30 years of massage experience both in teaching and in healing. She is truly a master of massage skills and techniques offering a quality of healing to her practice that clients won't forget. She offers several practices and will adapt the session to the needs of the client. 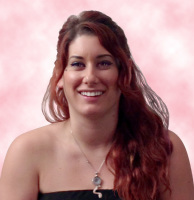 Katie specializes in opening up energy flows in the body and integrating embodiment practices. Katie's massages offer restorative balance in the tissue layers, fields and flows and in addition address the emotional body component. 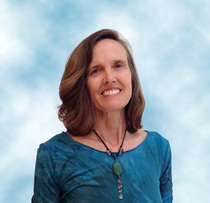 Vocal Sound Healer offers Core Healing Sessions: Noell offers private sessions in the use of loving awareness and vocal sound to facilitate the healing and release of contracted energy, (emotional wounds), held within the body and energy field. Experience your innate power to heal physical and emotional pain, anxiety, chronic tension and unresolved traumas via the ultimate vibrational medicine....unconditional love and your own voice. Healing Voice sessions naturally result in greater self love, (hence the ability to love others), inner peace and lightness of being. We experience life through our energy field. Sessions can be done in person, (for Santa Barbara area residents), or over the phone or skype. Testimonials: "My Healing Voice sessions with Noell have helped me heal chronic anxiety, restore normal sleep patterns and release old patterns of self sabotage. I finally know how to be with whatever emotion I'm feeling in a way that is immediately healing and freeing." -W.D. Pain Relief and Deep Relaxation: Discover lasting pain relief and deep relaxation from my unique combination of healing massage modalities including Deep Tissue Massage, Medical/Sports Massage, Asian Tui Na, Hawaiian Lomilomi, Trigger Point/Acupressure Therapy, Swedish, and Aromatherapy. Swedish Stress Relief: Paul offers a quality mass﻿﻿age guaranteed to relieve stress in the body, mind and spirit. 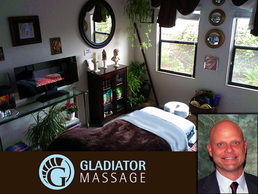 He loved to incorporate Myofascial Release, Deep Tissue and Reflexology into his work for an overall recharge. 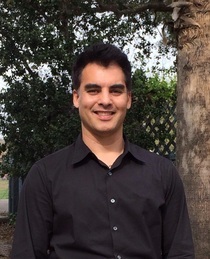 Tranformation from one career to another: Steven completed his 550 hr program in 2012 and has since provided wide-ranging services within spa and private practice settings. After owning and operating a successful painting and finishing company for many years, he decided to pursue a career that would enable him to make a significant difference in the lives of others and contribute to increasing positivity within our society. Furthermore, as someone who received massages on a weekly basis during his career in construction, he not only appreciates the art but also has had a sincere desire to provide to others the same transformative care that he was given. To join our Community of Healers please contact us and we will be happy to place a listing for you on this page for only $50 for the year. This fee helps to support our students and enables us to continue to offer a wide variety of massage education courses. Grads get FREE Ads! Santa Barbara Body Therapy Institute Graduates get one listing for FREE. Contact marketing@sbbti.com to place your ad. Please send the following information. If you need assistance writing your description please us at (805) 966-5802. Please Include the following: Your Name, Business name, title, License #, location/ scope of practice, phone number, email, web address if you have one, also a brief description of your specialty; what your sessions are like, what you offer, main style and other styles of massage you want to be listed under, a testimonial, and a nice photo of yourself. This page is just getting started so if you don't see the category or specialty you want to be listed under, that's OK, it will be created for your Ad.